Fredo and Dressa need helped getting dressed. Pronto Play has kids compete to see who can dress them first. 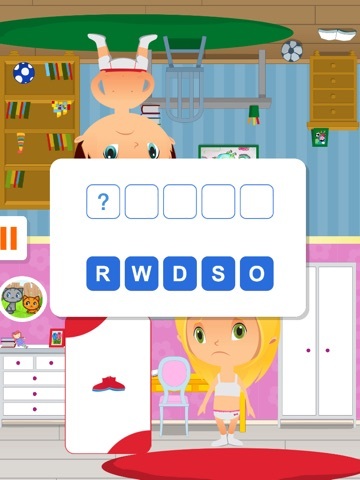 The app features a simple “find the missing card” game combined with spelling and math practice. Kids must correctly spell words or solve math problems to place an item of clothing on a character. 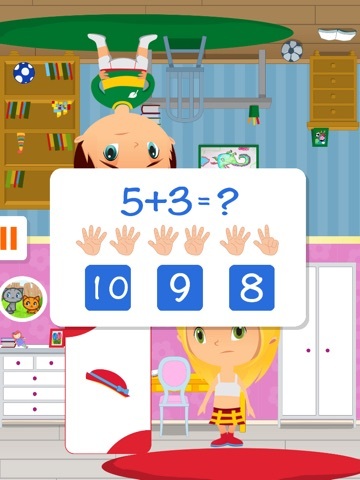 While the educational components are likely to be a secondary focus for kids who just want to play the game, the app offers a fun way to get kids to build some of their basic math and spelling skills. 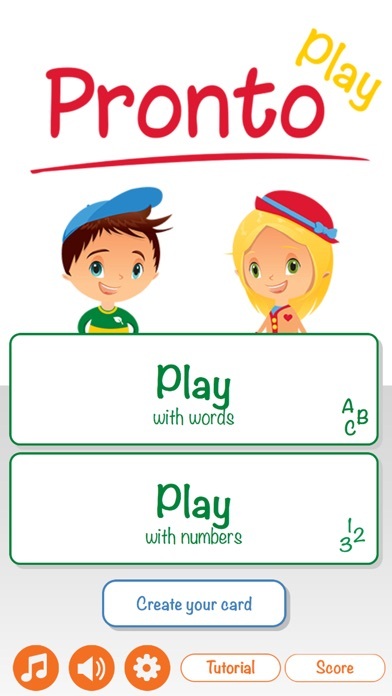 From the main menu of the app, kids can opt whether to play the game with words or to play the game with numbers. They’re also invited to create their own cards with photos to include as part of the matching game. A tutorial guides kids through how to play the game and manage the game’s settings. 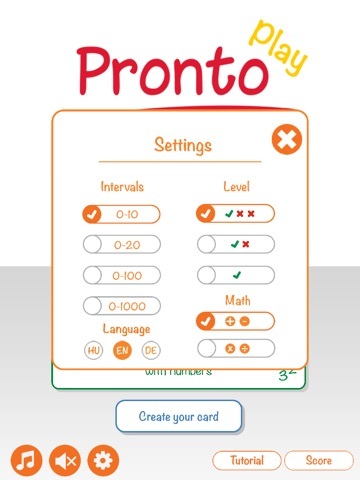 In the settings section kids can select from three levels of difficulty, choose the intervals including in problems (0-10, 0-20, 0-100, and 0-1000) and decide whether the problems should include addition and subtraction or multiplication and division. When it comes to playing the actual game, kids can opt to play against another human using the same device or play against the computer. The focus on mathematics and word skills is definitely a secondary component to this game. Kids simply have to answer a math question correctly to complete each turn. There are three levels of difficulty. When kids opt to play with words, the level of difficulty determines the length of the words. 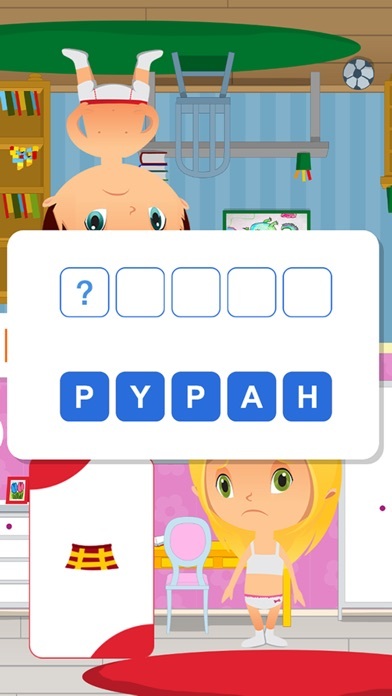 The app presents a good variety of frequently used words which are shown to kids individually before being scrambled for kids to put back together. When kids opt to play with numbers, the differences in the levels are more pronounced. At the easiest level, kids are given the correct answer to the problem and must simply tap on it to continue. The second level adds a small amount of difficulty by introducing two answer choices and the third level is the most difficulty, although still not very challenging, by providing kids with three answer choices. It’s good enough to help kids review some basic math while they play the game, but not enough difficulty to be a really impressive math app for kids. 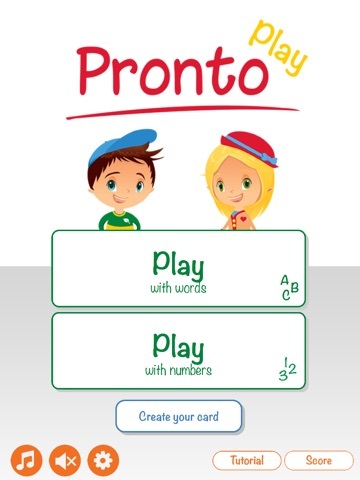 What Pronto Play offers that many apps do not offer is the chance for kids to play against each other using the same tablet. The game can also be played against the computer instead of another human. 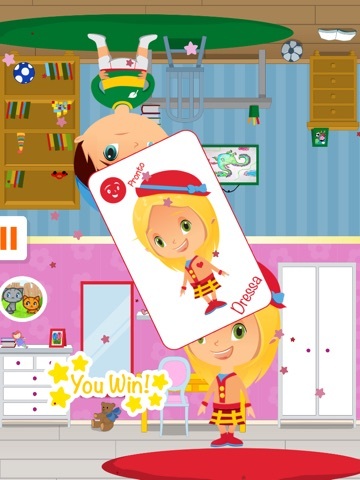 In this game, kids can choose to dress Fredo or Dressa and take turns drawing cards to see who can dress their character first. It can take a bit of time to get all of the correct articles of clothing, but that just means kids have more opportunities to spell words and solve math problems. Kids also have the opportunity to add their photo to the card and add it to the draw pile. 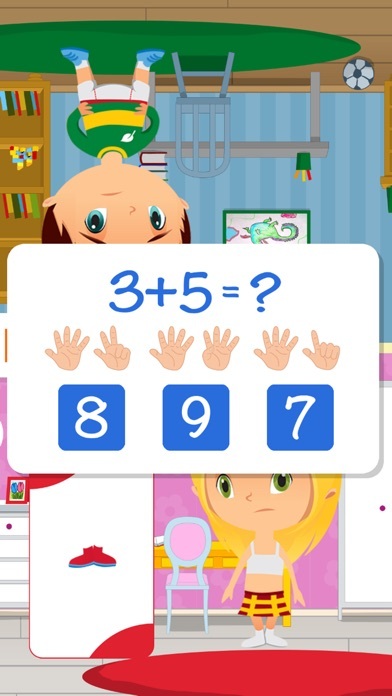 The app may not offer significantly in-depth math and word practice opportunities, but it does have a large range of math practice skills, allowing kids to practice numbers in intervals from 0-1000 and solve addition, subtraction, multiplication, and division problems. The addition of the play with words section increases its value. Developers should be commended for taking extra steps to make their app significantly more child-friendly. 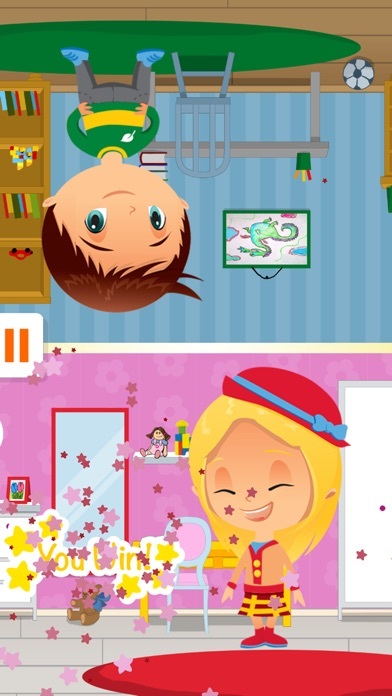 There are no IAPs or other elements to take children out of the app and developers even adapted the game play to make the app more educational.